Soup’s on! 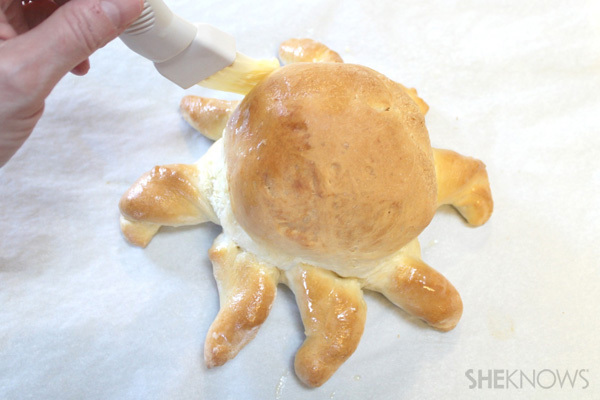 And it’s super fun when you serve it in penguin or octopus-shaped bread bowls. The best part is there’s no bread-making experience necessary — just shape and bake! There’s still plenty of soup weather left before the warm days of summer are here. 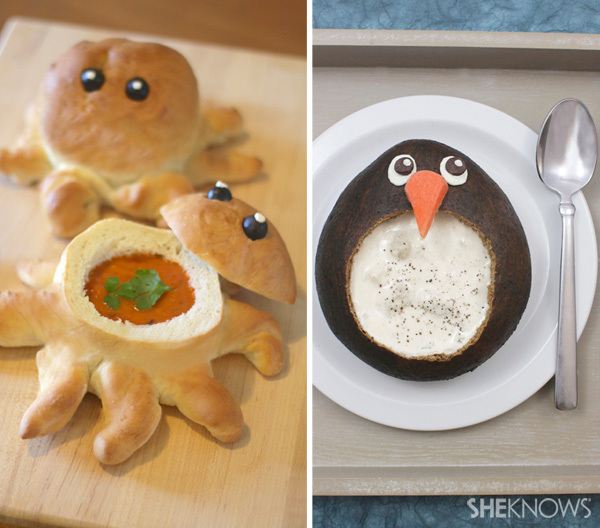 For your next soup night, surprise the kids by serving it in these adorable bread bowls. Thaw the Rhodes Dinner Rolls according to the directions on the package. 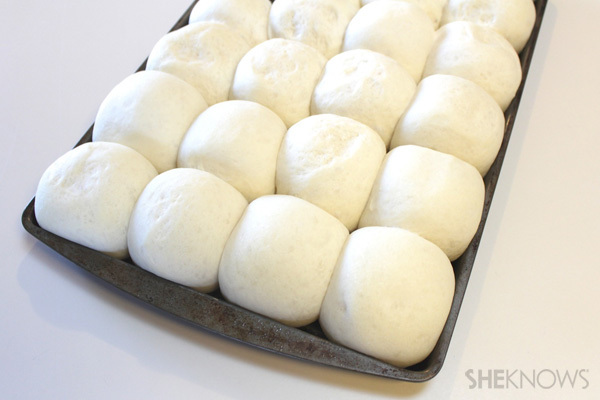 Combine the dough from 3 thawed rolls and roll into a flat circle, approximately 9 inches wide. Cut 8 dough triangles for the arms. 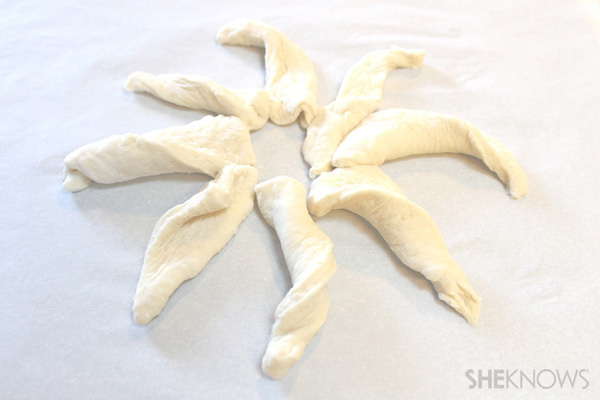 Twist each dough arm and arrange in a circle on a baking sheet lined with parchment paper. 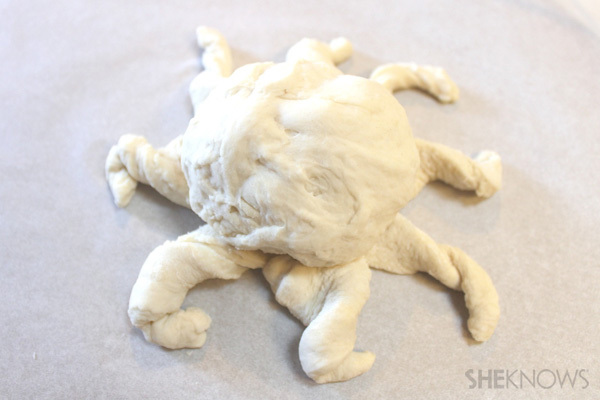 Combine 3 more thawed rolls into a ball and place in the center of the twisted dough arms to make the octopus body. 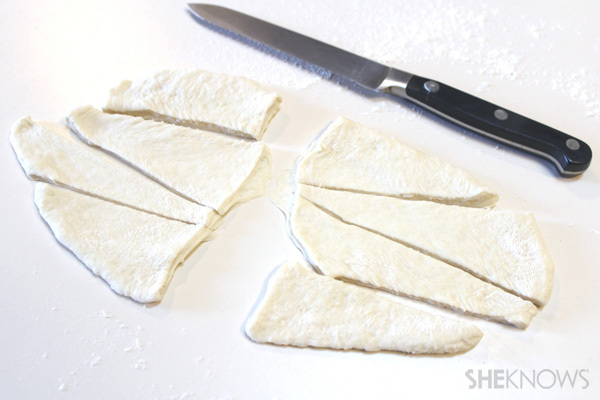 Cover with a dish towel and let the dough rest and rise for 15-20 minutes. Preheat oven to 350 degrees F. Bake at for 20-25 minutes. Slice the top of the octopus body off and hollow out the center area for soup. 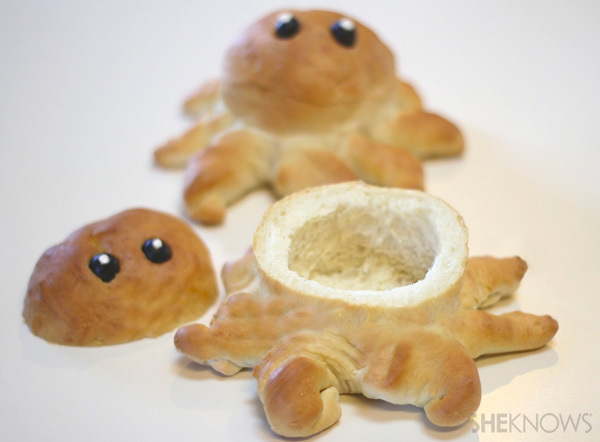 To make the eyes, cut small holes into the bread and insert two black olives. Pipe a circle of cream cheese onto each eye. 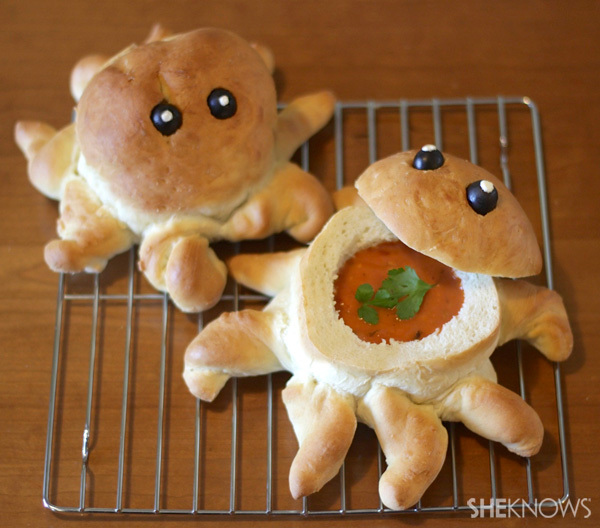 Fill octopus bread bowl with desired soup.